â€œTo understand dance for what it is, it is necessary we know from whence it comes and where it goes" (Martha Graham, 1937) In late July 2018, some of Martha Graham's greatest friends and allies from around the world gathered in Newcastle upon Tyne, United Kingdom, for a weeklong celebration of her enduring legacy. Martha Graham (1991-1894) is one of the 20th century most significant artists, whose choreographic genius is noted alongside Picasso and Stravinsky as changing the cultural landscapes of modern times. Graham in the UK festival brought together shining lights from Graham's native USA to the UK, for the first ever extensive appreciation of her life's work in theory and practice. The first ever Graham in the UK festival included multifaceted events which brought together dance lovers and world renowned artists. 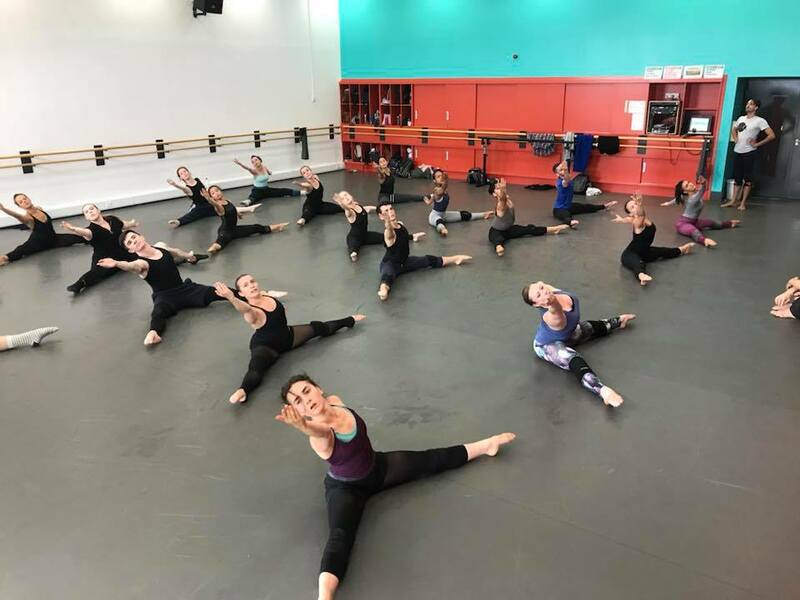 Professional dancers were offered the opportunity to learn from some of the greatest luminaries in the contemporary world of Graham who came over from the USA; former Principals Maurizio Nardi and Blakeley White-McGuire. 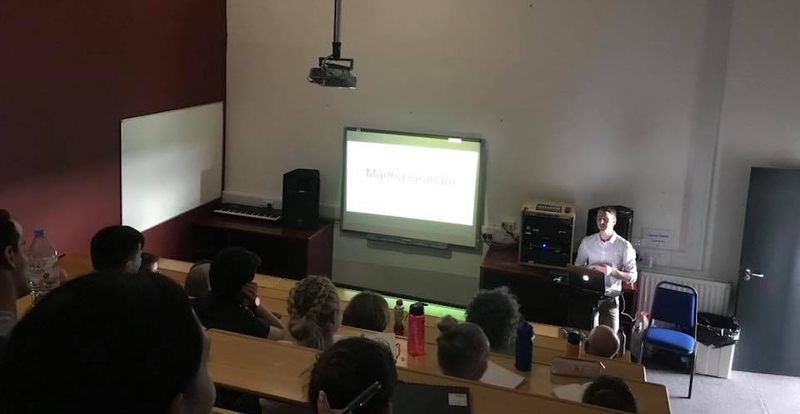 Oliver Tobin, former Dancer with the Martha Graham Dance Company and current Director of Martha Graham resources gave a lecture on Martha Graham, and led an open community class. Thus those in the local community, passionate about dance and Graham, could learn about her legacy directly from a singular authority in her archives in theory and practice. The moving force behind this unique gathering, who imagined, created, organized and brought life into the festival is Eliot Smith, Newcastle native who trained in the London Contemporary Dance School before returning to Newcastle to found his own company, Eliot Smith Dance. Eliot was joined by all Graham dancers from the USA for an open discussion about Graham's legacy in the UK and internationally. Finally, the week ended with a special gala performance showcasing the work done in the festival, and allowing the audience a very rare opportunity to watch Graham company dancers perform. The affluent offering of truly extraordinary dance practice and thought in one condensed week will inspire all who were involved in many months to come. Anthony Gormley comments on his statue Angel of the North which has become synonymous with the Tyne area landscape: "The hilltop site is important and has the feeling of being a megalithic mound. When you think of the mining that was done underneath the site, there is a poetic resonance. Men worked beneath the surface in the dark. Now in the light, there is a celebration of this industry. The face will not have individual features. The effect of the piece is in the alertness, the awareness of space and the gesture of the wings - they are not flat, they're about 3.5 degrees forward and give a sense of embrace. The most important thing is that this is a collaborative venture. We are evolving a collective work from the firms of the North East and the best engineers in the world. " Gesture arising out of action in concert, connectivity between human beings and Mother Earth, the ability of the human body to be resilient in harsh conditions as well as to offer a soft embraceâ€”all those characteristics chime with Graham's legacy as much as they do with Gormely's now canonical work. Throughout the Graham in the UK festival the question of sharing and connectivity underpinned the dancers' work. The initiative was as local as much as it was global, showing that dance can cross boundaries and create sustained, meaningful connections between all those sharing the passion for dance and Martha Graham in particular no matter where they hail from. Creating a space for creative artists to exchange ideas and learn from leaders in their field became a powerful catalyst for alertness and further action. The uniqueness of bringing together British dancers passionate for Graham with the leaders in the world of Graham created a sense of sharing arising from collaborative work. Gratitude for having this unique guidance was overwhelming. At the gala performance, Maurizio Nardi performed a solo from El Penitente (1940); the bold, stark choreography moves between piety and ecstasy. Newcastle audiences were given the opportunity to see an exceptionally memorable Graham male solo performed impeccably and powerfully by one of its most luminous Principals. A unique moment was experienced by the audiences when one of the company's most admired Principals, Blakeley White- McGuire, performed Lamentation (1930). The solo that marks, more than any, Graham's radical break into abstract expressionism, was celebrated in exquisite precision and singular dramatic force which made all hearts in the audience tremble. One of the participants in the festival commented, "It was very special to see Blakeley dance 'Lamentation'. When you start learning about Graham the first thing you know is Lamentation and seeing Blakeley wasâ€¦.I will remember it always". Graham's dramatic break with her past, performed by one of the most extraordinary voices carrying her legacy in the 21st century, was an apt way to show that the end of Graham in the UK, 2018, and its tremendous success, are but a beginning of the rest of the road to be travelled ahead. "People say: how did you begin? - How does it all begin? Graham, Martha. (1937). â€˜Martha Graham 1937.â€™ The Visions of Modern Dance in the Words of its Creators, eds. J. M. Brown, N. Mindlin and C. H. Woodford. London, Dance Books, pp. 50â€“ 3.
â€”â€” (1973). The Martha Graham Notebooks. New York, Harcourt Brace Jovanovich Inc.
Smith, Eliot, Redfern, Helen (2017)â€œMartha and Meâ€�, London: Red Thread Press . Dr. Dana Mills received her DPhil from the University of Oxford in 2014. Her thesis focused on the radical politics of dance pioneers Isadora Duncan and Martha Graham. Her first book, dance and politics: moving beyond boundaries was published by Manchester University Press, 2016 (nominated: Foundations of Political Theory First book award, American Political Science Association). She has lectured on Martha Graham at the American Political Science Association Annual meeting; University of Oxford political theory seminars; Graham for Europe initiative hosted at Science Po and European Consortium of Political Research annual conference in Bordeaux, among others. She is currently working on a book manuscript interpreting the relationship between vulnerability and solidarity in dance.